A few of the agents I’m querying want to see a bio. The author’s bio is only about a paragraph long but don’t let its size fool you. Approach with a machete and a stiff upper lip. There will be blood. Who knew introducing yourself could be so hard. After obtaining honors and degrees from fancy institutions Anna Fonté (rhymes with nosegay, deejay, bidet) taught high school English for ten years, then did the math and retired early. (5 classes =160 students @ 2 essays per month = 320 essays @ 4 pages each = 1300 pages per month + thoughtful and helpful comments x school year = impossible ÷ kill me now.) Now I live in Berkeley, CA where I write novels, short stories, poems, personal essays, and accounts of my attempts to befriend the neighborhood crows. I find writing much more interesting than getting published although a few of my stories have found homes online and in print, most recently in ElevenEleven’s issue #12 (due to a rare and precious solicited submission. The bulk of my work will be left as a legacy to my daughters who, despite their young ages, already possess much more savvy and swagger than I ever will). I can always be found at http://www.girlinthehat.com. Next, slap yourself across the face, one slap per cheek, grab your own shoulders, and shake. Rule #1 (according to friend Helen, who once interned at a literary agency) is “no jokes, no blether.” This is a professional introduction after all, the kind where you shake hands firmly and look them in the eye, this is no kindergarten stand-up where you pick your nose and show them what you found. So first, slice off all the parts that sound like nervous laughter. Next, chop off all irrelevant references to classes and courses and jobs unrelated to creative writing. Cut any mention of things you’ve written unless they’ve been published because that’s just pathetic. Pull a “Kill Bill” on every reference to your family or children. You wouldn’t bring them to an interview, would you? Don’t forget to stick in all the literary prizes you’ve been awarded, including writers’ retreats you’ve attended, especially if you won an invitation. Last, stab all the I’s and speak in the third, not the first, person, because remember, this isn’t personal. Anna Fonté’s work has appeared online and in print, most recently in ElevenEleven#12. She taught high school English and now lives in Berkeley, CA. In summary, your bio is about a person, but it’s not personal. Irony here. I was nicely warm under an electric throw (no heat at the moment), reading Cronin’s THE TWELVE, which is unputdownable, but then I had to leap up and head to my computer to tell you that I adored your original bio. I would only stop before “The bulk of my work….” because that begins to sound defensive and sad. Oh, please, HUMOR, yes. I loved it. I used to joke around in my query letter because my ms was a satire and therefore, funny, so I figured I should be funny in my intro. No takers. A writer friend convinced me to get serious in my query and bio, because that’s what agents want to see: Can you write? Are you someone who believes in your ms enough to represent it in public? Glad to see you’re not making the same mistake as me. Hi Anna, the publishing world is changing. All this submission and rejection will soon be a thing of the past. I’d like to see you put your crows pieces into a book and publish it via Lulu or Amazon or similar. I’d buy a copy and read it whereas I have difficulty reading anything online except at full-speed data intake mode. I like books! I like books, too. There is nothing satisfying about a computer screen. The crows? Hmmm. I wonder if I could work those crows into a book. Maybe that’s what I’ll work on next. Thanks for the suggestion and the encouragement, Dave. To Jenni and Helen and Re and Laurel and you and everyone else who chimes in. Thanks to everyone, this whole process is feeling like a big happy group project. You inspire. The thanks are to you. Always keep it simple. I learned that the hard way. Sounds like an interesting story. I hope you’ll tell it to me one day. Nicely done, you! You’re absolutely right. An agency wants you to be able to sum yourself up in a few short, strong sentences. It lets them know you can hit that mark if asked do to interviews as well. More, please! What? Did you say interview? It took me 2 years to put my own face on my Facebook. The idea of talking with my own mouth to a real person and trying to sound smart without being able to pause and backspace and cut stuff out is utterly, well… I won’t say what it is, just in case “they” are reading this. But I feel a little sick. Oh! Oh no! I was reaching way ahead of where you are right now. Right now you are sending gorgeously professional queries. Not to worry, AF! That’s a big “what if” even for published writers. I love that – not being able to pause and backspace! That Jenni girl sure is smart! I wonder if she widens her margins too? Congrats lady… you are on your way!!! I taught high school English for ten years, then did the math and retired early. (5 classes =160 students @ 2 essays per month = 320 essays @ 4 pages each = 1300 pages per month + thoughtful and helpful comments x school year = impossible.) Now I live in Berkeley, CA where I write novels, short stories, poems, personal essays, and accounts of my attempts to befriend the neighborhood crows. I have had several stories published, both online and in print, most recently in ElevenEleven’s issue #12. 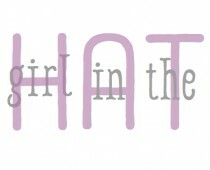 I blog at http://www.girlinthehat.com. I wish there was a way I could send them a page full of bios and tell them to pick the one they like. This “understanding your audience” thing is so subjective. I think the short bio is looking good – any other print credits you could stick on there? That’s all you need! And Courtenay Bluebird is right – if you get through the initial vetting stage, you might have to have an interview with the agent – for the 1st one I attended I was grotesquely nervous. But it was a sign things weren’t going to work out. The second one clicked like a charm and she is now my agent, and a friend, too. You might meet the agent but it’s more likely to be a phone interview, particularly if you live far apart. Oh – thought of another thing for your query: pick up a book you love by a living author, particularly if you feel an affinity for his/her style. Look at the acknowledgments. Play spot the agent (with google help). Contact said agent. Say you loved X’s book in your query. You have to be honest about this, because just searching the back catelogue of said agent and picking a book to love will be counter-productive – you want the agent to have similar reading tastes to you! Helen– since you actually worked a slush pile, I think you must be right. I am surprised how off kilter my own instincts must be on this (and lord knows what else) and I’m so grateful for your help. For my last novel I went to the bookshelf and pulled The Hours by Michael Cunningham (be still my heart) and sent it to so-and-so and I actually did get fairly along in the process with them– they read the whole thing and told me that it needed help and suggested the name of an editor. I paid that person what was, for me, an astronomical figure, but still didn’t quite pull it off. (Since then, I have a policy that I will not pay one penny towards having anything published.) I will add that agent’s name to my list although I feel rather bashful about it. Since then, my efforts at getting published have been half-hearted. ElevenEleven is the only “respectable” (or recognizable?) place I’ve been published. I would be extremely wary of anyone who sends you in the direction of an editor who accepts payment for this sort of thing. I know it is done, but there are other agents who would never do this, and I think they have the ethical high ground. You are correct – the money is not supposed to come from you. Why be half hearted when you have enough heart to push this work of yours out there? Your writing is good, I think you could get excerpts published online. Have a hunt around – if you get accepted, mention that in a query, even if the piece hasn’t been published. As to instincts – I was the same when I first started out. It took working in the agency, speaking to agents, reading LOTS of stuff on agent/intern blogs online to get my query up to speed. The urge to be creative can work against us sometimes! Nothing but a bloody little nub left. I feel like a sushi master. but a sound bloody nub. The marrow even. And the marrow is the best bit. Janine, did you drop one of your blogs, or am I just confused? 🙂 Well I rerouted janineshroff.wordpress to janineshroff.co.uk, chose a new theme and thats it. But its essentially the same. I can agree with the change from first person to third, but personally I loved the humor. I tire of author bios all sounding alike. So polished and so boring. If I saw a bio like your first example I’d read the book whether it was something I’d normally read or not. I remember picking up an Elizabeth Peters book once, and reading the numerous reviews on the back. Buried in them was one that said how awful the book was, how pretentious the author was, how the story wasn’t worth reading. The review was written by Barbara Michaels. Which, in case you don’t know, is Elizabeth Peters. I loved that. The inside joke, the humor. Original like your bio. On this, I think the business-minded are diametrically opposed to the people who write without a thought to marketing. Sort of freaky that such divergent opinions are all part of one’s audience. Who matters more? The people who read the books or the people who sell the books? There’s the rub. At this stage, I’m courting the sellers. An I’m completely cognizant of how my own nature must warp to fit this different frame. If my book were ever actually printed, I would fight hard not to have this bloody little nub of a bio on the back page. I did like the first one better, but I am not a busy editor or agent fully immersed in the business world, am I? Sad but true. It does feel sometimes like you are not being true to yourself, but it’s about adapting to meet the needs of your audience. And then you can dazzle them with your book! I liked it better too, Marina. I’d cut a few things out, but still. And of course, one has to wonder. If they don’t like the way you write a bio, how much would you wager they’d like your book? i like the first one better, and always enjoy being right there with each creative thought! you make me giggle. XOs to Lourmarin, Aia. Is it anything like plain-old marin? Good for you, Anna!!!! Very brave. I know when it’s time it’s time, but still. Tough to get those queries out there. Can’t wait to hear how it all goes. Good luck!! I think it’s mostly ignorance that’s guiding me, Teri. Thanks for the luck! Hoping all is going well for you Anna. Ugh. As well as can be expected, Helen. 4 rejections in one day. One came only two hours and eight minutes after I queried. Thanks for checking in.